Below you can find the official marking criteria for the cross-media assignment. 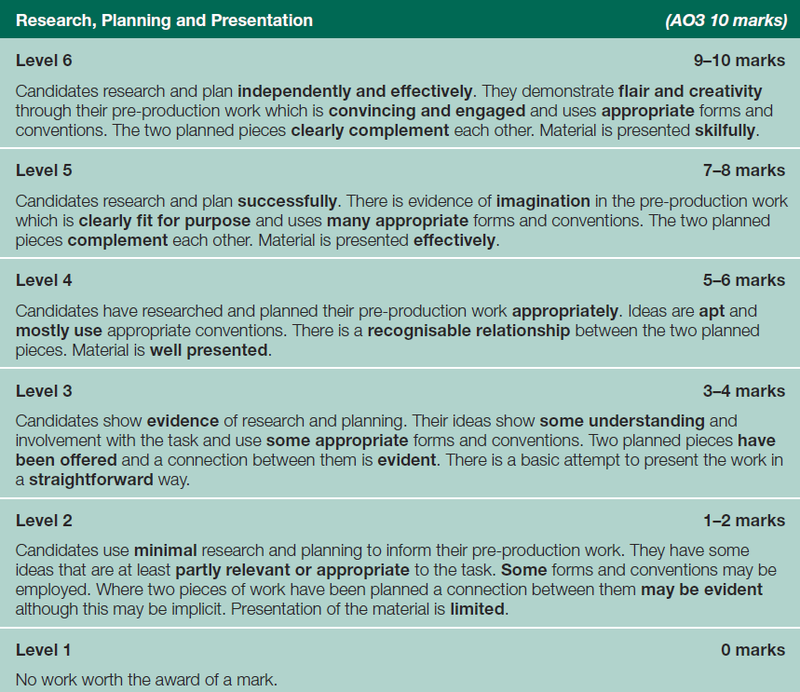 Click read more to see the assessment criteria (how marks/grades are awarded) for THIS assignment. How the exam board describe this assignment. Candidates should explain in no more than 200 of the 1000 - 1200 words allocated, how their two research, planning and production tasks are connected and how effective they are. They should also comment on how they have addressed representational and institutional issues.